We all know that many of loves Cherry Mobile because of their affordable Android smartphone products and some of you want to customize its features based on what you likes. A user emailed us via our contact page asking for help on how to turn off the start up tone of Cherry Mobile Flare S4, as he/she couldn’t find it in the settings. Even if you mute or turn down the volume of your phone by pressing side button it still doesn’t take effect when the tone when you power on and shutdown your device. If you’re not so techie enough to mess with your phone system, turning off this boot up tone may difficult for you to do. This can be easily done when your phone is rooted as you have super user access permission to your device Android system. 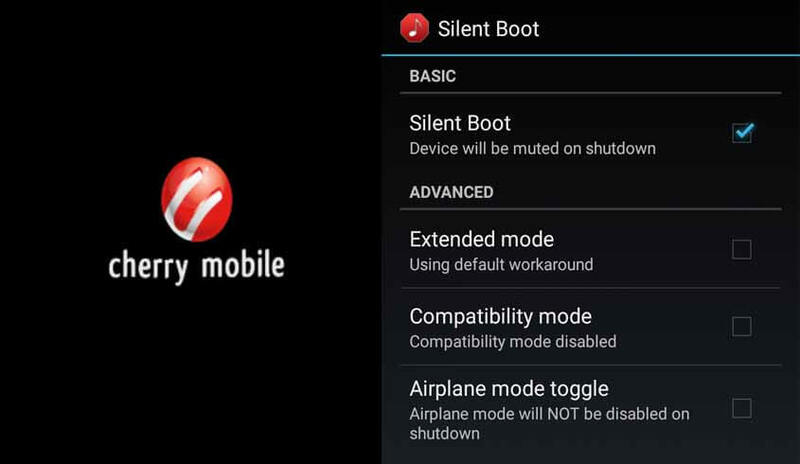 If you’re not sure on rooting your phone, you can try this alternative to turn off or disable Cherry Mobile boot up tone using the app called Silent Boot. After installation, it will automatically silent the start up tone. 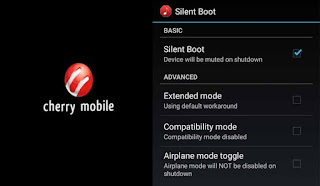 You can also turn off the shutdown tone of your device by going to Silent Boot app settings, just checked the first option to enable “Device will be muted in shutdown.” This workaround may also work on brands like Samsung, Myphone, Cloudfone and more. There’s also an advanced option like extended, compatibility mode and airplane mode toggle you can try when using the app. You don’t need to worry about the storage space as the app size is only 26KB, it won’t eat your free disk space. Just use any file explore and go to your device local storage (e.g. /system/media), you can see the folders and files like audio, images, video, bootanimation.zip, bootaudio.mp3, shutanimation.zip, shutaudio.mp3 and other files. If you want to turn off the startup tone, just transfer or rename the bootaudio.mp3 so it will not play during power on.